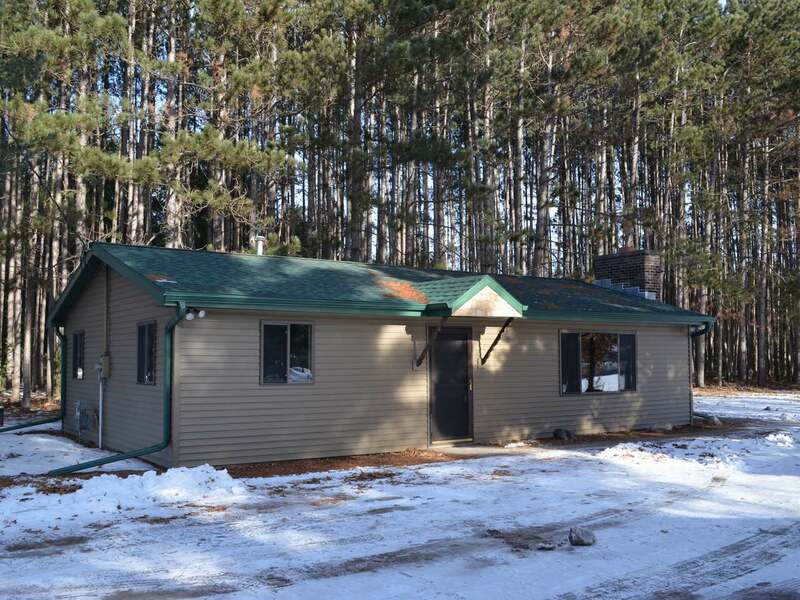 MABLE LAKE MOVE IN READY HOME! Here is your opportunity to own a waterfront property that has been updated from top to bottom. NEW Kitchen with Hickory cabinetry, Stainless Steel appliances, quartz counter tops, larger pantry cupboard and breakfast bar. The flooring throughout the entire home is weathered wood luxury vinyl plank. The dining room/sunroom has a cathedral ceiling. The bathroom has a full shower surround, Hickory vanity and open shelving storage for your towels and linens. The utility room has an on demand water heater, the well pressure tank and space for a stacking washer/dryer. Admire the NEW windows, siding, roof, flooring, cabinetry, drilled well, on demand water heater, drywall, woodwork and raised panel pine doors. This larger lot offers wonderful space for a yard and firepit. There is a garden shed and a covered boat storage space too. See this home today with all the NEW IMPROVEMENTS it has to offer!